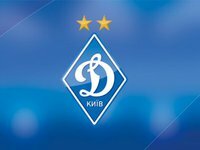 Dynamo Kyiv will play Greece's AEK in the last 32 of the UEFA Europa League. The draw for Europe's second most prestigious football tournament was made in Nyon, Switzerland, on Monday. The playoff matches will be played on February 15 and 22, 2018. Dmytro Chygrynskiy, a former footballer of Shakhtar Donetsk and Spain's Barcelona, currently plays for AEK.